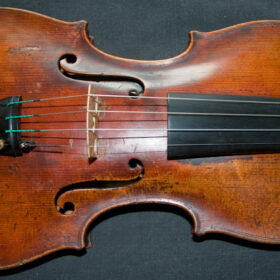 Home / Violins / 19th Century / Old Antique German Violin ca1900 lab. ‘SAXONY’ – Incredible Sound! Forget all your preconceptions about labels and countries of origin. 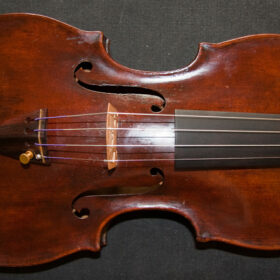 This violin out performs many violins at multiple times the price. This is no run of the mill German factory violin. and all for very little money. 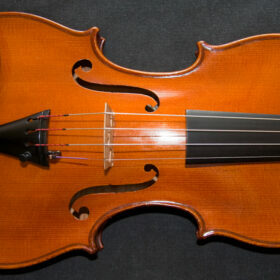 If sound quality is your priority, you need to check this violin out. It will be hard to find better value for the money. SKU: 0048 Categories: Violins, German Collection, 19th Century. 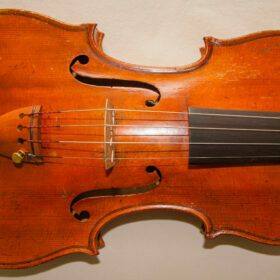 Tags: antique violin, german, old violin, vintage violin, violin. 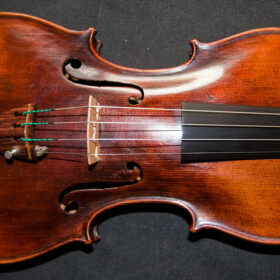 This is a very well made violin, definitely not your usual mass production German violin churned out quickly at low cost. 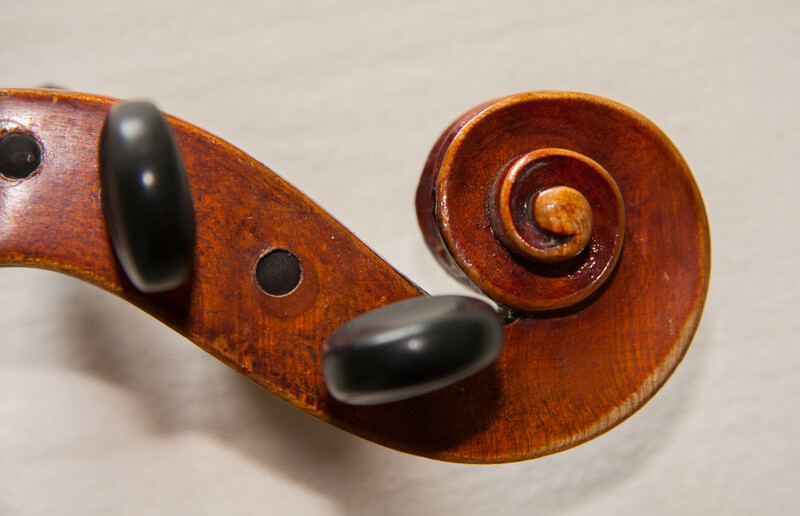 It is the creation of a mastercraftsman who knew how to make a well constructed violin that would sound just great. 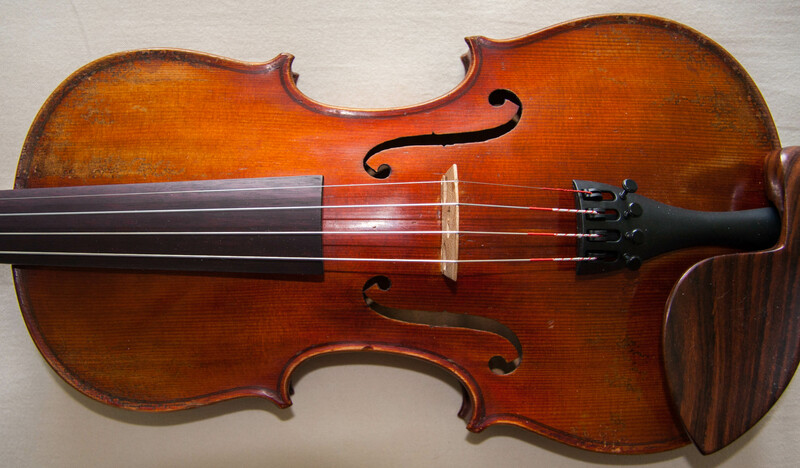 It uses carefully selected tone wood to produce a most wonderful sounding violin that outperforms many far more expensive violins. 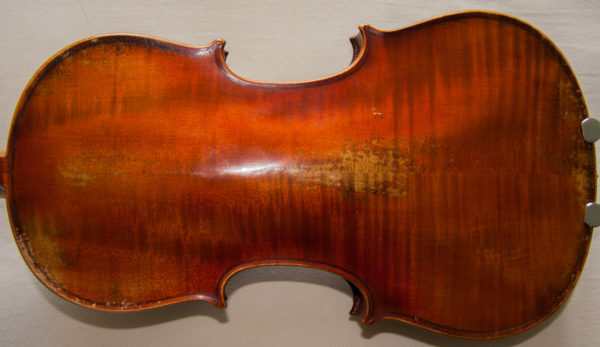 I would say that it is a violin that has benefited from the passing of years, having become something much greater with the maturing of its voice. This violin has been fully restored and a new Bass Bar fitted – which alone would cost close on £2000 – and it is fitted with Pirazzi Tonica strings, which match this violin really nicely, giving warmth to its naturally brilliant tone. 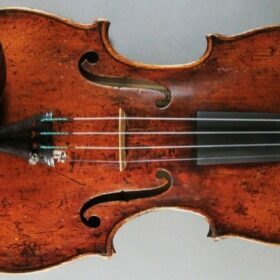 And what can I say about the sound of this violin. It has nice clarity, good response and excellent projection. 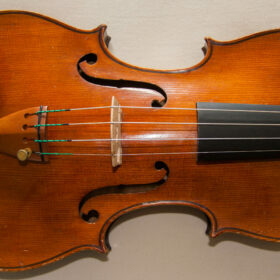 It has a full sound that has the brilliance and warmth that you associate with a contemporary Italian violin – at a fraction of the cost. It has been professionally set up not only to bring out the best in its sound but to make it comfortable and easy to play, which makes long hours of practice fly by. It is always a great pleasure to play and you will eagerly look forward to every practice session with renewed vigor and enthusiasm.